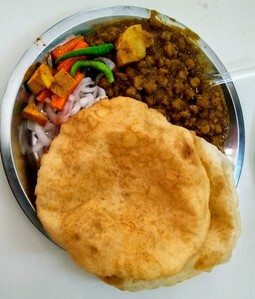 Cholle Bhature from Om Corner, Karol Bagh. 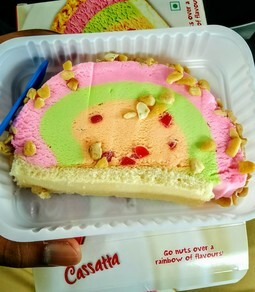 One of the best I had till date. 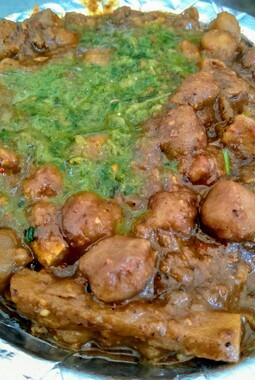 It was not very spicy unlike others. 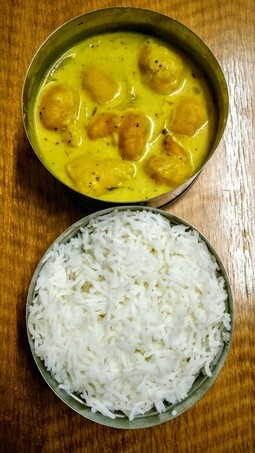 Kadi Chawal from Burfiwala, Murthal. 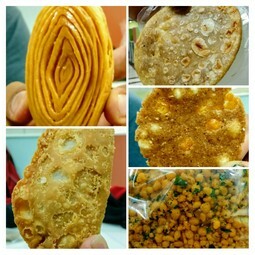 Homemade Southern Delicacies brought by a friend from Andhra Pradesh. 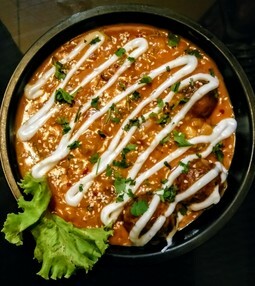 Honey Chilli Potato from Hunger Cure, Faridabad. 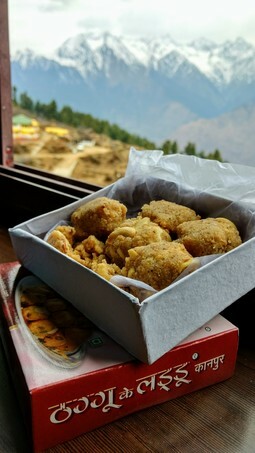 Loving it since College days..!! 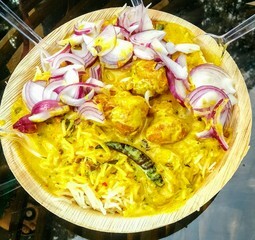 Tandoori Paneer from Hunger Strike. 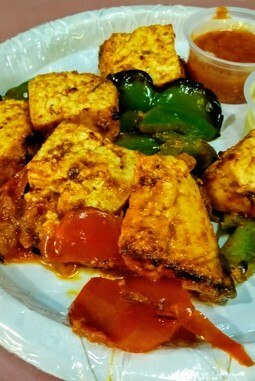 The paneer was super soft. Aaloo Parantha, serving as dose of anesthesia since ages. 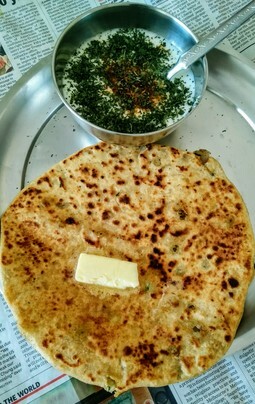 This one is with Jeera and Pudina raita. Legendary Cholle from Sita Ram Diwan Chand. 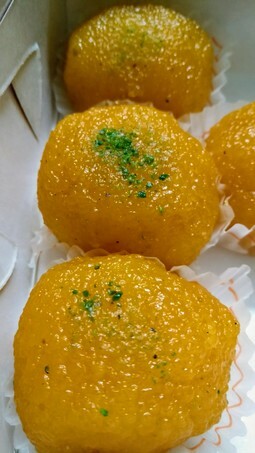 Mootichoor ladoo - One of the favourites of all. 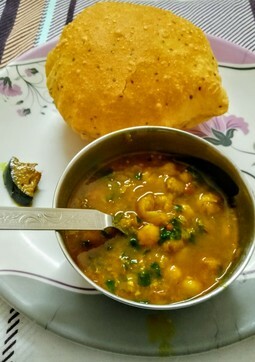 He serves pithi wali poori known as Kachori with Aaloo and Cholle. 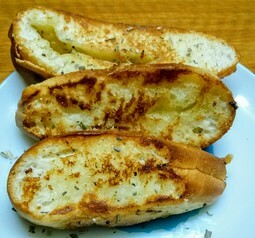 These have loonji sprinkled over them which gives it a tangy flavor. 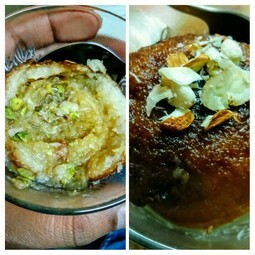 The disposal bowl has Petha/Kashifal that is prepared only on Sundays or on some special occasions. The meal is complete Jain meal means no onion is used. Many friends have suggested this joint many times but somehow I missed. 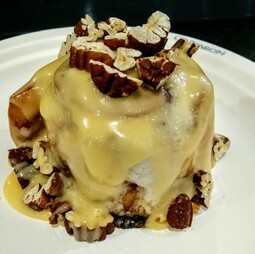 Finally I tried it and it was worth it. 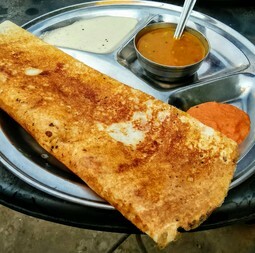 I was told that uncle prepares very good Rawa Dosa but on asking, he refused to prepare as it was peak time. He said to visit in non peak hours for Rawa Dosa. Will try Rawa Dosa some other day. The uncle puts up his stall Near HCL, Sector-60, Noida. 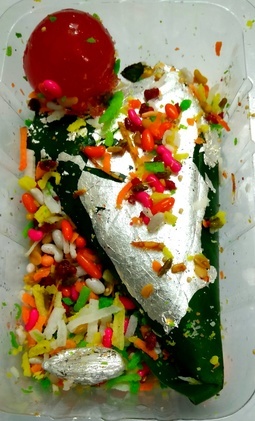 This one is Special meetha paan from Chaurasia Paan, Karnal. They have an outlet at Panipat also. 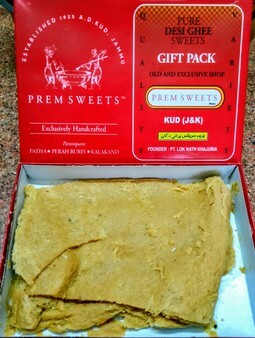 I got this from their Panipat outlet. 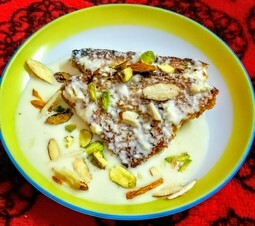 Homemade shahi tukda with homemade rabri. 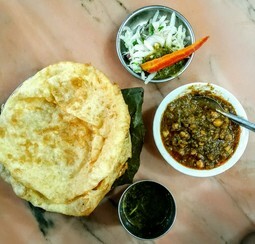 Had these Cholle Bhature at Bhagwati, Haridwar few days back. They serve soup like Lotan. 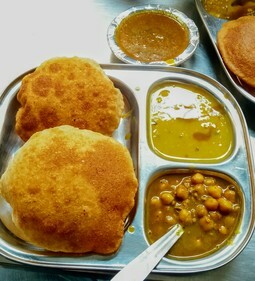 Their bhaturas are bit oily, otherwise decent stuff. 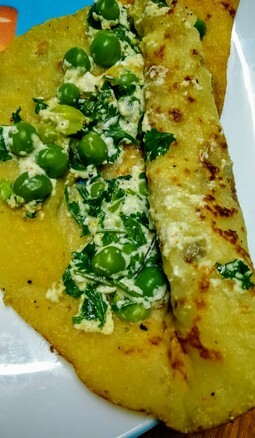 Homemade moong daal chilla. It was super soft. 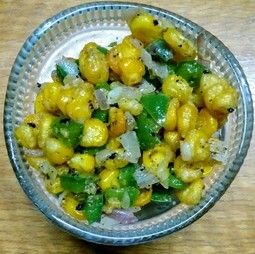 The peas and paneer were also soft making it more yummy. 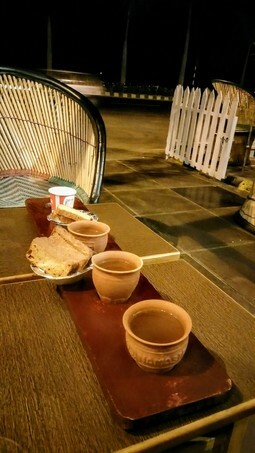 Highway and chai compliment each other very well. 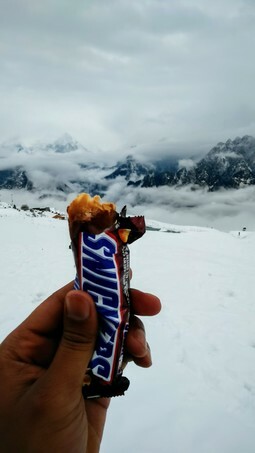 Loved eating Snickers at this height. 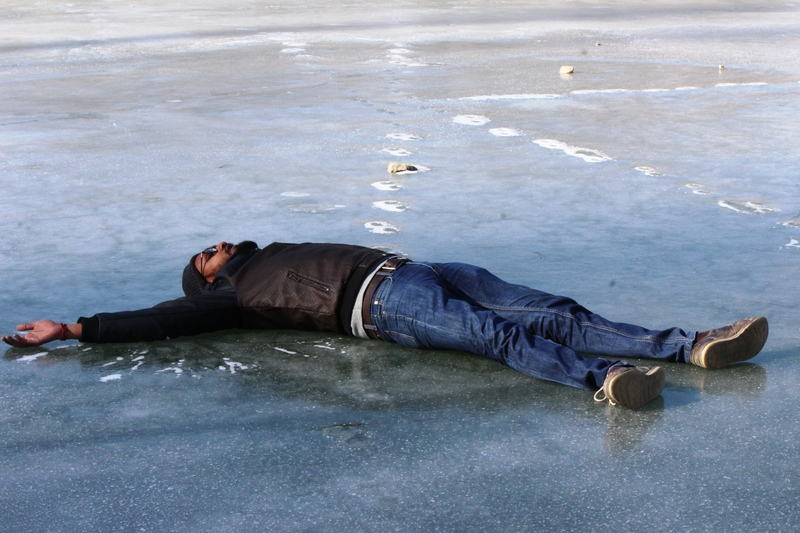 Also, we were exhausted after trekking. 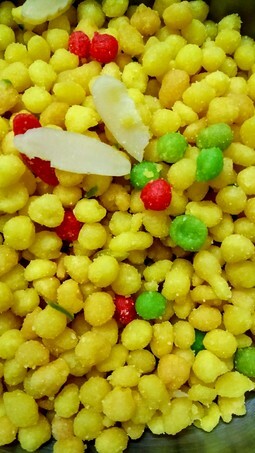 Puthareku from Andhra Pradesh. Different kind of stuff. 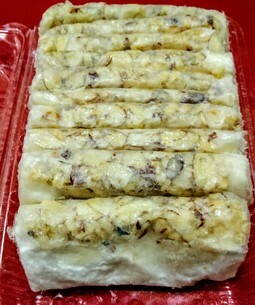 It is actually nuts and grinded sugar wrapped in rice foil. 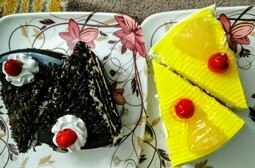 Choose from pineapple and black forest pastry.